Aren’t collections like these perfect fodder for some extra give-away goodies on FCBD? Or do people not even take them then? 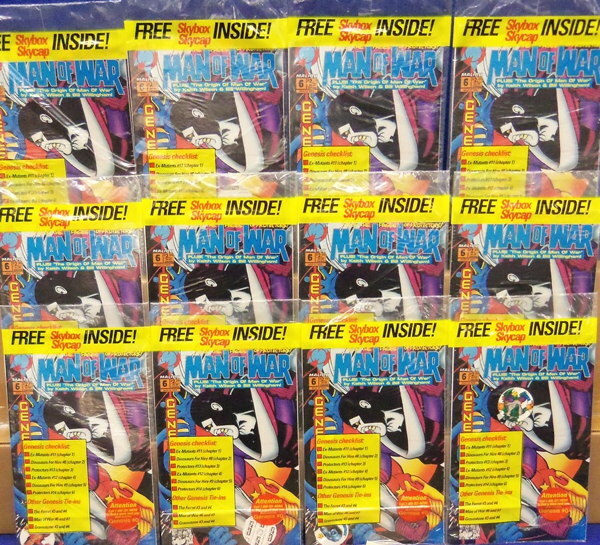 Just looking at your link to the old post about all the multiple copies–I might not buy an issue of Falcon #1 or Smurfs #1, but I’d probably pick them up off the FCBD table. Also, Phantom Zone was a pretty awesome series. oooh! – I feel all “internet famous” now. Let the endorsements begin! The internet says it is it means “bragging” in Afrikaans. I’ve no idea if The Ferret ever met Prime and the rest but he did show up in Malibu’s terrible, terrible Street Fighter comics. In the third (and unexpectedly final) issue. Apparently Malibu didn’t think an adapation of the biggest video game at the time could stand on its own without the fan-favorite The Ferret. Pretty sure you could find a dirty meaning for it on Urban Dictionary. Or create one. I believe Urban Dictionary exists solely to make you feel bad about everything. Heavens! Urban Dictionary has peered into my very soul. I take back everything I said. Well, okay, not everything. In fact not even most things. I guess I’ll allow this exception to my rule. Vaguely embarrassed to know this without checking, but the Protectors/Genesis universe did not ever crossover with the Ultraverse. 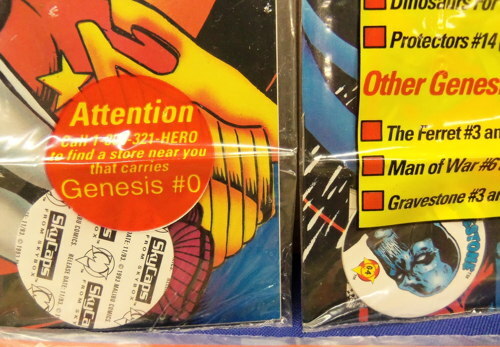 I remember emailing with writer/editor Roland Mann around that time, asking him that same question, and he told me that Malibu didn’t really care about “Genesis” now that the Ultraverse was hitting it big. The line was dumped shortly thereafter. Oh, please, like I’m the only one with a complete run of THE FERRET.